Expenses can be added by both admins and people. If admin adds an expense it will automatically become confirmed, however, if an employee adds an expense it will need to be confirmed by an admin. 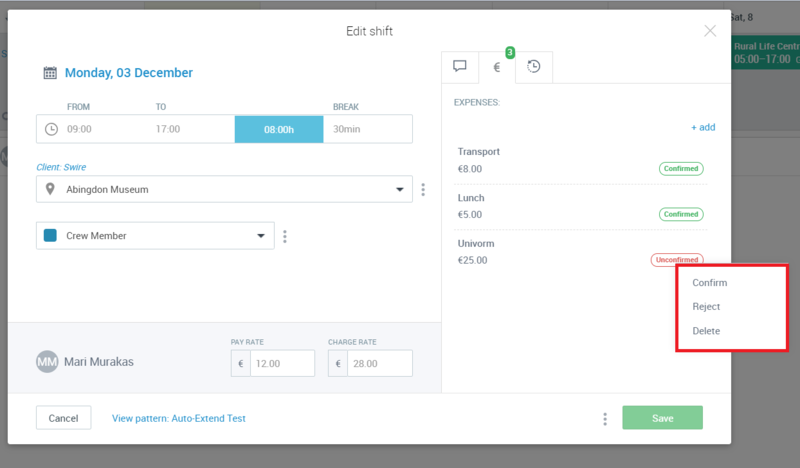 Expenses can be added to people directly in the shift dialogue window - the expense will be then tied to a person's particular shift. 1. Go to the Schedule calendar and click on the shift to open it. On the right-hand upper corner you will find multiple shift tabs - select the Expenses tab which is the one with the '£' symbol on it. Next, click on '+add'. 2. Fill in the expense details such as name, amount and add a comment if you wish. To finish, click 'Save'. 3. The added expenses will now show under the Expenses tab. 4. Please note! If an employee adds an expense it will show as unconfirmed and requires you to confirm or reject it. 5. The confirmed expenses will also show on the Payroll report. 6. 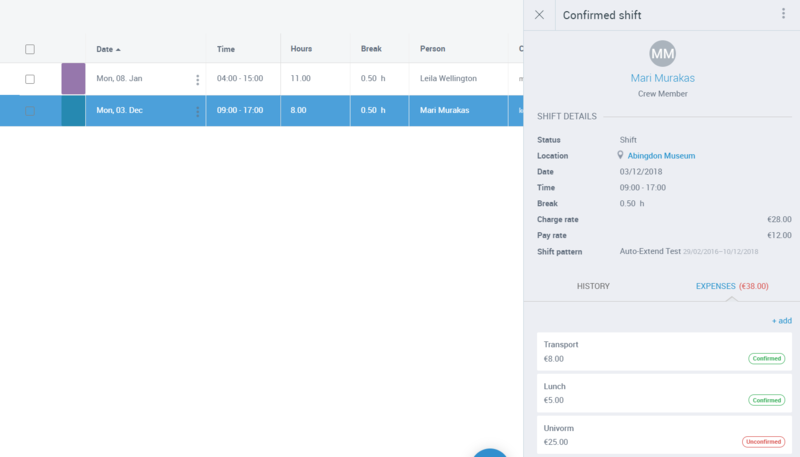 You can also view, add and delete expenses on the Shifts List page. Click on the shift to open the sidebar and find the Expenses tab.